During the first week of October 2014, your team at CrucialClicks.com visited the Big Apple to attend the Search Marketing Expo - East 2014 conference. 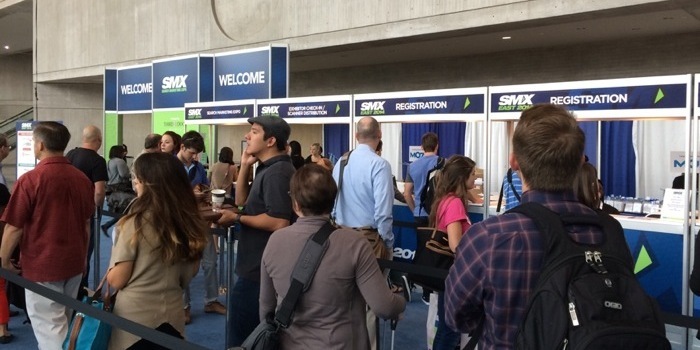 We attend the Search Marketing Expo, annually, to brush up on our search marketing skills. We attend to discover changes in the marketing landscape and to learn best practices. We apply this knowledge to enhance our products and services on behalf of our current and future customers. Each year, a wide range of topics are covered. This year’s topics include the latest Google Search algorithm updates, how to find hidden potential keywords, new Twitter and Facebook technologies, schema and rich snippets, Google+ Places, site auditing, and much more. SEO is not a project, it’s an ongoing exercise. Social is discovery; Search is validation. Google’s true market share is 86%, based on aggregated analytical results gathered by many SEO leaders. Make sure you know who your online competition is (those that compete with you on the search engine result pages (SERPs)). SEO today is no longer tactical, but strategic. You can’t trick Google into ranking you just because your keyword is in a heading and title. You need content to support it. Just because Google no longer displays author information in the SERPs doesn’t necessarily mean that the authorship tag is dead. New ad formats, extensions, sophisticated remarketing and retargeting, and enhanced automation tools. The traffic from your users on their mobile devices is ever-increasing. SEO accounts for 20% of leads in a business’ first year. Keywords are ambiguous (e.g. : subway – the NYC transportation or the sandwich maker?). Utilize the resources you have to make your content. Overall it was a great conference, and we certainly plan to attend in 2015 and beyond.